Another Scientific American article (William Powell, March 2014, pp54-57) inspired me to write this post, which details a story of genetic engineering a plant, but not a crop, but a tree! First, a quick background of why…. Apparently, in 1876 an unfortunate situation developed following importation of chestnut seeds from Japan, it turned out that these seeds were contaminated with spores from a fungus (Cryphonectria parasitica) to which American Chestnuts were highly sensitive, but the Japanese Chestnuts were immune. This fungus effectively strangles the tree through growth of its mycelial fans, which produce oxalic acid that destroys the bark of the tree while allowing growth of the fungus. It is this dead wood, produced by the action of the oxalic acid, that leads to strangulation of the tree as it tightens its grip on the trunk of the tree. only 50 years after the initial import of this deadly fungus more than 3 billion trees were dead! A programme of research was initiated to produce hybrid trees by crossing Chinese variants, which are also resistant to the fungus, with American trees to produce a hardy hybrid, but this work will take many years. Therefore, in parallel a project was initiated to make use of, what at the time was a novel approach, genetic engineering of the plant. As is often the case in science this idea was built around a fortunate coincidence in which a group had isolated a wheat gene for oxalate oxidase, and introduced this gene into other plants using a well described engineering system called Agrobacterium. This enzyme was, of course, ideal for the proposed project as it breaks down oxalic acid the primary cause of the blight. In addition, they had available genes that produce antimicrobial peptides (AMPs) that disrupt C. parasitica infection and, as time passed, genome sequencing projects have pointed to the genes in Chinese Chestnut trees that are responsible for resistance to the fungus. The future looks promising for genetically engineering the tree instead of depending upon hybrids. The use of the soil bacterium Agrobacterium tumefaciens is an interesting story in itself and a subject I enjoyed teaching about as a perfect example of using a natural system for advanced technology. The odd thing about this bacterium is that is has the ability to infect plants with its own DNA that makes the plant produce unusual amino acids, which it cannot synthesise itself. the result of this infection of foreign DNA is that the plant develops small tumours, but the bacterium benefits from the availability of these biomolecules. 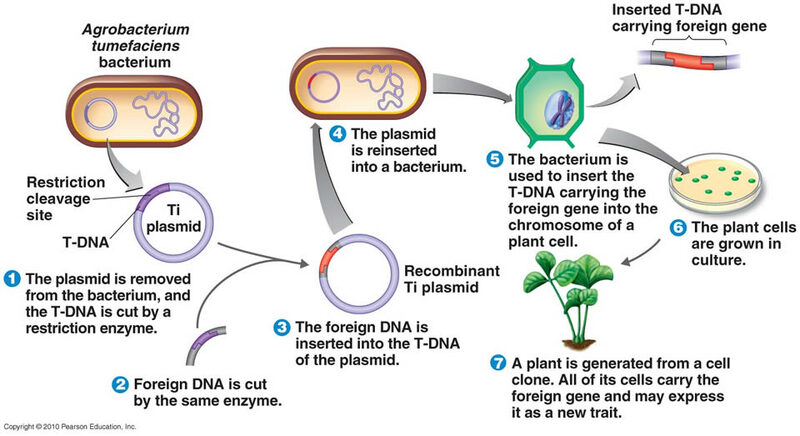 Genetic engineers were able to manipulate this system so that they could insert “foreign” DNA into the bacterial plasmid, in place of the tumour-forming components, and enable the bacterium to transfer this foreign DNA into a wide variety of plants in a stable a predictable manner. 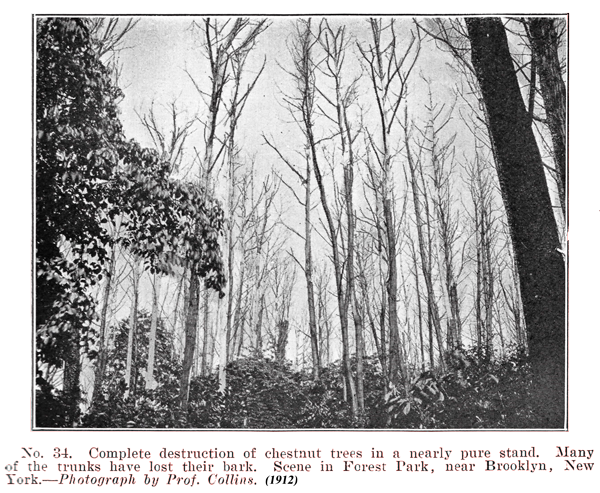 Eventually, the research group were able to develop the mechanisms for tissue culture of the genetically altered plant cells and a model system based on poplar trees was available to initiate the experimental approach to overcoming the blight infection. There are now more than 1,000 transgenic Chestnut trees growing in field sites, public acceptance of this approach to restoring a small piece of biodiversity is good and the future holds a promising approach for further such experimentation. My own view is that this is a piece of genetic engineering that all sounds very good and very promising for the future. My only caution, also expressed by the researchers is the spread of the genetically modified seeds, which may help remaining trees recover from infection, may also lead to cross pollination with closely related plants. 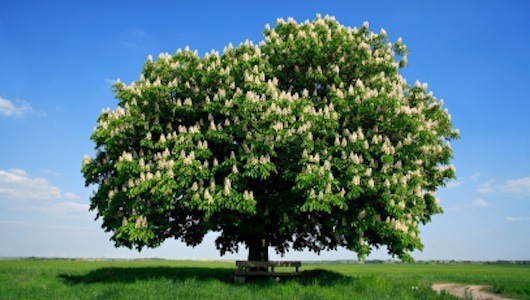 However, there are few trees closely related to the American Chestnut, so this seems unlikely. A good story that supports genetic engineering in plants! 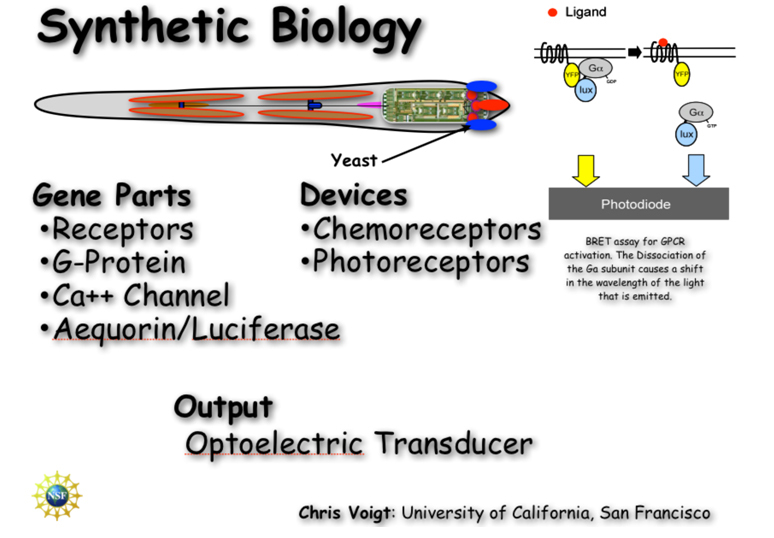 Synthetic Biology – will it work? Every now and then science comes up with a new approach to research that impacts on technology, but often these approaches are controversial and the headlines we see are far from the truth and can damage the investment into the new techniques. One good example is the Genetic Modification of plants and the production of GM-foods, which has a really bad press in Europe despite many obvious benefits for the world economy and for disease control. The latest technology, which follows from the explosion in genetic engineering techniques during the 1990s, builds on concepts developed in bionanotechnology and is known as Synthetic Biology. But, what is Synthetic Biology? Will it work? And what are the dangers versus benefits of these developments? Gardner and Hawkins (2013) have written a recent review about this subject, which made me think a blog on the subject was overdue. I was a part of a European Road-Mapping exercise, TESSY, that produced a description of what Synthetic Biology is and how it should be implemented/funded in Europe. I was also Project Coordinator for a European research project – BioNano Switch, funded by a scheme to support developments in Synthetic Biology, that aimed to produce a biosensor using an approach embedded in the concepts of Synthetic Biology. developing novel applications or processes. This is quite a wide definition and is best illustrated with a simple comparison – in electronic engineering there exists a blueprint (circuit diagram) that shows how components (resistors, capacitors etc.) can be fitted together in a guaranteed order to produce a guaranteed result (a device such as an amplifier). 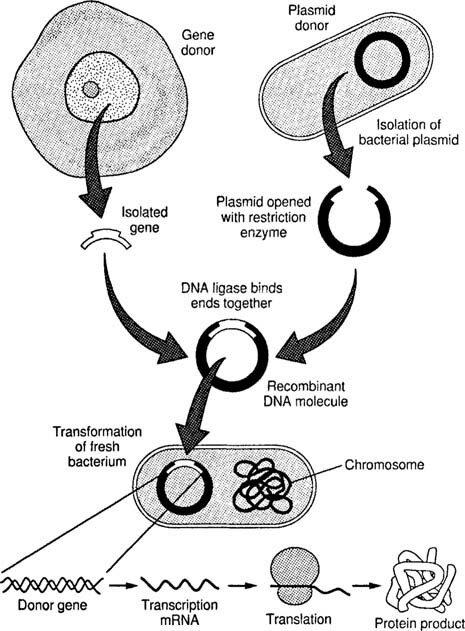 The Synthetic Biology concept would be to have a collection of such components (DNA parts that include promoters, terminators, genes and control elements; cellular systems including artificial cells and genetically engineered bacteria capable of controlled gene expression; interfaces that can connect biological systems to the human interface for useful output). This would mimic the electronic situation and provide a rapid mechanism for assembly of biological parts into useful devices in a reliable and predictable manner. There are many examples of such concepts, but the best known is the Biobricks Foundadtion. However, at the TESSY meeting I was keen to make it clear that there are fundamental problems with this concept, so what are the problems? At its most simple concepts a Biobricks database would consists of a number of different types of DNA (promoters, are short DNA sequences that switch a gene on; terminators, are short DNA sequences that switch a gene off; control elements, are DNA sequences that control the promoter switching on or off a gene as required; genes, would be DNA sequences that produce biotechnologically useful products; and cells, are the final package that enables the DNA to do its work and produce the required product), which sounds logical and quite simple. However, biological systems are not as reliable as electronic systems and combinations of promoters and genes do not always work. One of the major problems with protein production, using such artificial recombinant systems, is protein aggregation resulting in insoluble proteins that are non-functional. In addition, there are many examples (usually unpublished) of combinations of Biobricks that do not work as expected, or if used in a different order also result in protein aggregation, none of which ever happens with electronic components. The reasons are far from clear, but are closely related to the complexity of proteins and the need for them to operate in an aqueous environment. My thoughts about how to deal with this situation is to have a large amount of metadata associated with any database of Biobricks, which includes information about failures or problems of protein production from specific combinations. However, I am not aware of any such approach! There are other aspects of Synthetic Biology that do not depend on Biobricks and one example is the artificial cell. The ideal for such a system is a self-assembling package, capable of entrapping DNA, capable of replication and survival and able to produce useful biomaterials and significant steps have been made toward such a system. However, one area of concern as such systems are developed, is containment – can we really be sure these artificial microbes will remain in a contained environment and not escape to interact with and possible change the natural bacterial population. However, the power and capability of such a system should not be underestimated and the likely use in future medicine could be immense – simple examples would be as delivery systems for biomaterial that can activate cellular changes by targeting to the required cell and then switching on protein production (e.g. hormones). This type of targeted medicine would be a major breakthrough during the later part of this century. 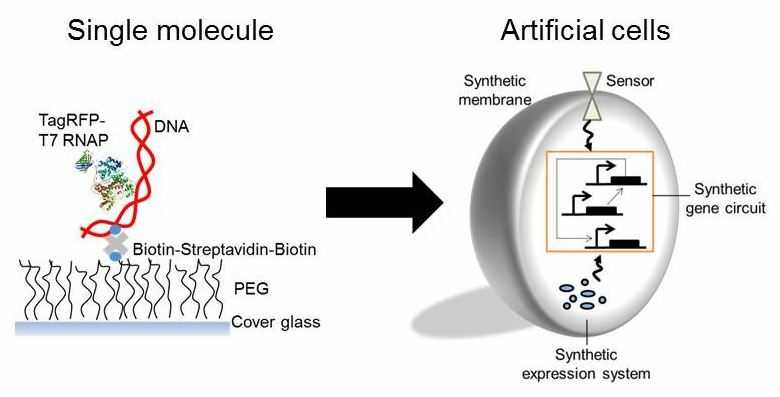 Another type of Synthetic Biology involves the artificial assembly (possible self assembly) of biomaterials onto an artificial surface in an way that is unlikely to occur naturally, but provides a useful device – I see this as more like what a Biobricks project should be like – such a system is usually modular in nature and the bio-material would normally be produced using recombinant techniques. The research project I mentioned earlier involved such a device and the outcome was a single molecule biosensor for detecting drug-target interactions at the limits of sensitivity. The major issues we had with developing this device was the precise and accurate attachment of biomaterial, to a surface in such a way that they function normally. However, overall the project was successful and shows that a Synthetic Biology approach has merits. They could provide insulin for diabetics. Be made to generate stem cell, which could be used in diseases such as Alzheimer’s and Huntingdon’s. They could deliver specific proteins, drugs and hormones to target locations. They could treat diseases that result from faulty enzyme production (e.g. Phenylketonuria). They could even be used to remove cholesterol from the blood stream. Containment of any artificial organism is the most obvious, but this enhanced by the possibility of using the organism to produce toxins that would allow its use as a biological weapon. The ability to follow a simple “circuit diagram” for protein production, combined with a readily available database of biological material, could enable a terrorist to design a lethal and unpredictable weapon much more complex and perhaps targeted than anything known to date. Inhibit research through a readily available collection of materials that prevent patent protection of inventions. This could be complicated by the infringement of patents by foreign powers in a way that blocks conventional research investment. Problems associated with the introduction of novel nano-sized materials into the human body, including artificial cells, which may be toxic in the long term. My own feeling is that we must provide rigorous containment and controls (many of which already exist), but allow Synthetic Biology to develop, Perhaps there should be a review of the situation by the end of this decade, but I hope that the risks do not materialise and that society can benefit from this work. A recent article (Hamrang, et al. Trends in Biotechnology, 2013) made me think about the impact modern technology is having on how scientific research is developing and, in particular, my own experience of applying some of this technology. I thought it might be interesting to detail some of this technology and how it has influenced my own research and how it might both develop to provide new approaches for the advancement of science and how this will change requirements in teaching. A good place to start is SINGLE MOLECULE ANALYSIS a concept I had never thought of in my early research career, but it became a possibility during the 1990s. 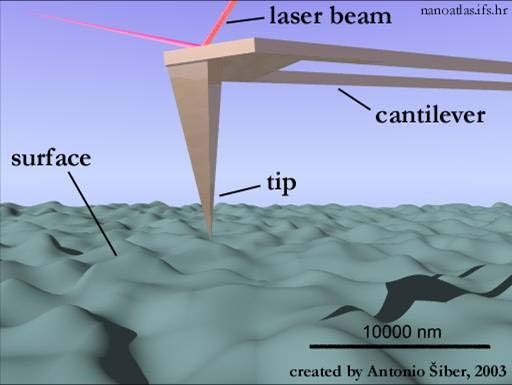 The first time I heard of single molecule analysis was something called a Scanning Tunnelling Microscope, but I could not see uses for this device outside of chemistry as the objects to be visualised were in a vacuum. However, this device quickly developed into the Atomic Force Microscope (AFM) and the study of biological molecules was soon underway. This device measures surface topology and can visualise large proteins as single molecules – my first involvement was to visualise DNA molecules that were being manipulated by a molecular motor. The resolution was astounding, but more importantly we were able to use this technology to study intermediates that had been biochemically “frozen” in position and resolve features we never expected to see. 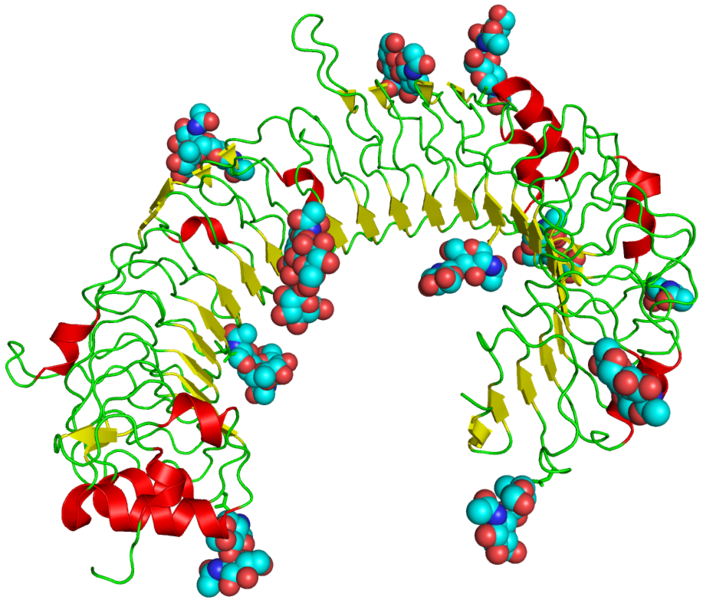 Further studies allowed us to also study protein-protein interactions and super-molecular assembly of the motor. The wonderful thing about this technology is that interpretation of the data has quickly moved from the negativeness of “artefacts” and a lack of faith that images showed what was thought to be there, to a situation where major advancements are possible through direct topology studies. Developments of this technology are likely to include automatic cell identification, in vivo measurements using fine capillary needles and measurements of ligand-surface target interactions on cells – this could influence drug development and biomedical measurements. Another developing technology related to AFM is the multiple tip biosensor that can sense minute amounts of material in a variety of situations (a “molecular sniffer” – one use I heard of directly from the developer was for wine tasting/testing! My second single molecule analysis involved a Magnetic Tweezer setup which is able to visualise movement of a magnetic bead attached to a single molecule (in our case DNA), which allowed us to determine how a molecular motor moves DNA through the bound complex, but, perhaps more importantly, this led us to develop a biosensor based around this technology that could be used to determine drug-target interactions at the single molecule level and perhaps allow single molecule sensing in anti-cancer drug discovery. This technology is also closely related to optical tweezer systems that have been used in similar studies and the future is certain to make such technology cheaper and easier to use and their application in biomedical research. The key to this development will be the increased sensitivity of single molecule studies and how this will enable more detailed understanding of intermediate steps in molecular motion induced by biomolecules. I imagine as newer versions of these devices become more automated, then they will be used as biosensors to study more complex systems that involve molecular motion. In the short term, it seems to me that there is scope for the application of these devices in understanding protein amyloid formation and stability with a view to determining mechanisms for destabilising such structures. 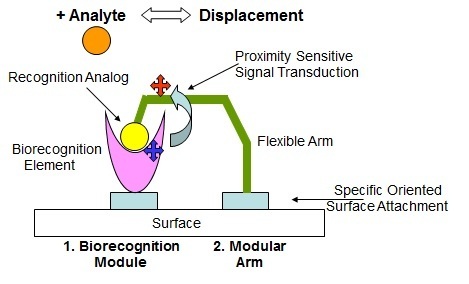 The best known system in this category of analytical devices is Biacore’s Surface Plasmon Resonance (SPR), which uses a mass detection mechanism based on changes to the Plasmon effect produced by electrons in a thin layer of gold. We have used this to study protein-DNA interactions and subunit assembly and the technique provides a useful confirmation of older techniques such as electrophoresis. I have been involved in discussions about the application of this technology in the field, but reliability and setup problems remain a problem. In comparison, the Farfield dual beam interferometer can use homemade chips that simplify setup and seems more reliable for similar measurements. Where I see a potential for these devices is in the study of protein aggregation, which has tremendous potential in the study of amyloid-based diseases. This idea sprang from discussions with Farfield about using their interferometer to detect crystallization and would be an interesting project. However, if these devices are to have a major impact in biomedical sciences, they need to be easier to setup, more reliable and smaller. 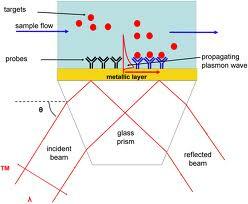 recent advances are leading SPR toward single molecule sensing (Punj, D., et al., Nat Nano, 2013). I believe the real key to implementing this technology as a biosensor is to incorporate two technologies in the same device. We proposed to have a dynamic system, on an interferometer chip, whose activity would switch off the interferometre when active. This could be used in drug discovery, targeting the drug at two systems simultaneously. If massively parallel systems can be developed, possibly based around laminar-flow, I can see a use in molecular detection of hazardous molecules using either antibodies, or aptamers. I have not directly used this technology, but I have seen the results applied to the molecular motor that I have worked with. 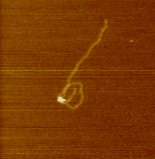 The value of the system is that cyroEM allows the gathering of many images of a large protein complex, which allows structural studies of systems that cannot be crystallized or visualized using NMR. My feeling is that as computing power increases this technique combined with molecular modelling in silico, will provide structural information for many complex biological systems. The impact of this knowledge will greatly influence the design of drugs and will aid the biochemical analysis of complex systems. My feeling is that further development of this technology will revolve around combining it with other techniques for visualising biomolecules, one I have mentioned before is Raman Spectroscopy, which could allow studies of these complexes in situ another could be single molecule fluorescence (Grohmann, et al. Current Opinion in Chemical Biology). I can easily imagine collaborative research projects that will bring a variety of such techniques to the production of the 3D image of real biological systems isolated from cells. Such research would have to follow existing models of bidding to use such equipment in centres of excellence. 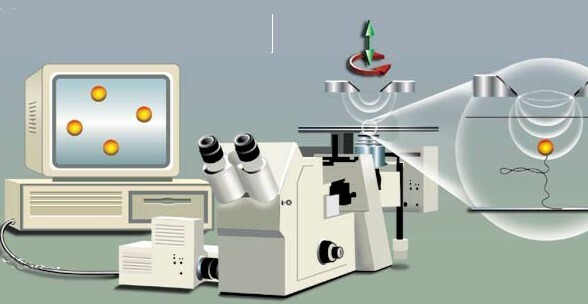 Such centres would bring together visualization techniques with single molecule analysis and data from genomics and proteomics. The research lab of the future will depend on much more international collaboration than we have seen up to now! The current technology in this area divides into two types of nanopores, physical holes in a surface and reconstituted biological pores. I have used a physical nanopore to investigate the separation of proteins from DNA using electrophoresis across the nanopore, the beauty of this system is that it also quantifies the number of molecules crossing the pore. I imagine that such devices will develop using surface attached biomolecules around the pore, which will introduce specificity into the device, but what I would have liked to develop is a dynamic device for ordered assembly of molecules (an artificial ribosome) where the nanopore allow separation of the assembly line and the drive components – such are the dreams of a retired scientist! Biological nanopores are the main focus for single molecule sequencing of DNA and the future must be portable, personal sequencing devices (DNA sequencing information must reside with the source of the DNA and for humans this will eventually lead to personal devices. However, the level of available data will be enormous and the growth of the “omics” research will require new ways to store, organise and access this information. A new method for studying biological systems is already underway in which analysis of data allows a better understanding of complex systems. 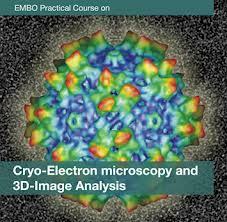 This will eventually become a part of biomedicine and will be supported by personalised medicine. I was once asked by a student what future Biology holds, and I now know it will be an area of significant growth for many years to come, but this requires the right focus for investment and a new direction for undergraduates in their studies – good luck to those I have taught, who now have to lead these developments. Could phage become useful viruses? I remember many years ago my old professor telling me how bacteriophage could be useful tools for typing bacteria, based on their susceptibility to different restriction enzymes, which occur in different numbers in different bacteria, but, sadly, it never came to pass. However, I read a recent paper (Henry & Debarbieux, 2012. Volume 434, 151–161) that suggest a new set of tools could be made available for healthcare that could make use of viruses and in particular bacteriophage. So, what are bacteriophage? Well these are viruses that specifically infect bacteria and there thousands of them for all of the different bacteria known (and probably many more as yet unknown) and often when they do infect and kill the host, they use the bacterial replication system to copy themselves many times. As rather beautifully illustrated on the left, they attach to the surface of a bacteria, using a highly specific attachment mechanism, and then inject their nucleic acid (DNA or RNA) into the cell like a biological hypodermic needle. If grown artificially, in a laboratory, on a surface coated with growing bacteria, this produces areas of killing know as plaques – an example is illustrated at http://www.typei-rm.info/background.htm – the idea of typing bacteria is based on changes to the number of plaques by the defence systems bacteria use to stop phage growth – restriction enzymes. Each strain of bacteria carries a different array of restriction enzymes, which should produce different efficiencies of growth of saturating concentrations of phage, sadly, the restriction enzymes are so efficient at killing the phage that growth show little variation between the many strains! Since my early days in molecular biology, bacteriophage have been manipulated and the genomes have been deleted or changed to make use of them as the tools of molecular biology. In fact, it is really the success of work by Prof Noreen Murray that initiated the ideas of using viruses as molecular tools; she was able to produce altered bacteriophage genomes that now carried “foreign” DNA and this produce some of the first genetically engineered organisms. Viruses are already used to deliver both drugs and to engineer genomes against disease, but how this might work and how useful viral tools might be best illustrated by a mechanism know as Phage Display, which has been used to produce artificial antibodies without recourse to injection of mice or other mammals! The antibody proteins are attached to the outside of the bacteriophage, where they are functional, and they can be used to bind to an antigen attached to a surface (for example an antigen marker that is known to occur in cancer cells), the phage that bind can be isolated, manipulated genetically to improve binding to the antigen and then purified under more stringent procedures – panning. Eventually, an antibody is isolated that is a tight binder to the antigen and could be used therapeutically. However, one can imagine the next step in this type of work would be to target viruses at cancer cells, using viral display of specific antibodies, and then kill the cancer cells using part of the viruses normal life cycle. So, do viruses hold a useful future for genetic engineers and bionanotechnologists? I would say, as we begin to fully understand the genetics of the many viruses and learn to manipulate the genomes in a safe way, we could very well have a series of tools for manipulating genetic information, or for that detection, diagnoses, control and even cure of infectious diseases. Who knows whether in another decade, during which time many new viruses will be discovered, the possibilities are enormous! So, what is Lichen Planus? After my last visit to the dentist he told me I had an unusual mouth disease, whose origin is unknown, called Lichen Planus – not very encouraging I thought. this disease can manifest in many ways in a wide range of epithelial cells, but oral LP seems to be the most common appearance. It can range in symptoms from the simple appearance of white markings (as i have) through to ulcerative blisters and sores, which is often accompanied by irritation or stinging. In some cases the disease can become malignant and lead to oral cancers. However, just to reassure everyone, it is not malignant, nor has it caused me any distress. It simply looks odd, a sort of stringy alignment of white wells in the mouth! However, being the good scientist I am (haha), I wasn’t going to accept this “unknown origin” storyline, so I made some investigations in the scientific literature and this is what I understand of the nature of this disease. This disease is thought to be an immune related response where cytokines are released by keratinocytes leading to autoreactive T-cells, which produces the inflammatory nature of the disease. Although it is unlikely that a single antigen is responsible for the reaction, a short list of candidates includes Candida albicans, which immediately triggered my interest as it was a Candida infection that led to the diagnosis of my Type 2 diabetes! So, is there any connection and can we gain more knowledge from molecular studies? One important observation in Lichen Planus patients is an elevated level of Gram-negative bacteria at the site of the Lichen Planus. Oral hygiene is believed to involve recognition of specific molecular patterns on a variety of bacteria by Toll-like receptors (TLRs) and trigger an immune response if the bacteria have invaded the cellular system (epithelial cells in the case of Lichen Planus). This immune response involves elevated levels of cytokines and this same result has been associated with muscle cell response to increased levels of fat in Type 2 diabetes. TLR responses have been observed in other chronic inflammation – colitis and psoriasis – and Janardhanam et al. (2012 Archives of Oral Biology 57, 495–502) have shown that TLR-2 and TLR-4 mediated responses are potentially involved in the development of Lichen Planus. Increased levels of IL-12 and IL-4 may lead to the inflammatory response observed in Lichen Planus. From my previous blogs on TD2 and allergies I can see a similarity in the proposed molecular pathology of these symptoms/diseases and it seems clear that an impaired immune system may be a key to the onset of all of these conditions. The Central Dogma of Molecular Biology, DNA is transcribed into mRNA, which is translated into a protein. 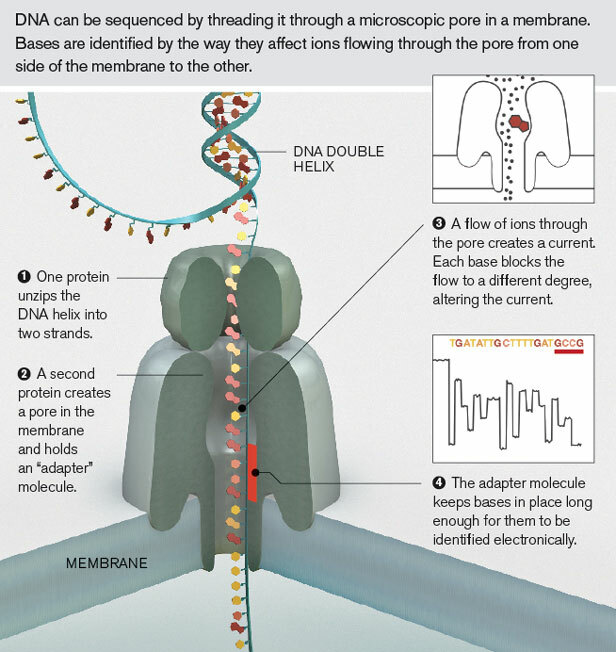 If you are a biologist, and especially a molecular biologist, then you know all about the Central Dogma and the role of RNA as the intermediate between DNA (coding for genes) and proteins (the final product of most genes). There are a number of species of RNA, including messenger RNA (mRNA) that is the product of transcription and is produced by RNA Polymerase (RNAP), while transfer RNA (tRNA) is used by the ribosome during translation as the mechanism for decoding the RNA sequence into a protein sequence and ribosomal RNA (rRNA) is a major constituent of the ribosome providing both structural form and enzymatic activity required for protein synthesis. However, there are other types of RNA and perhaps one type that has become very well-known in recent years is small interfering RNA (siRNA). These short RNA sequences were first discovered (at the end of the 20th Century -Hamilton & Baulcombe (1999). Science 286, 950-952) as molecules capable of silencing gene expression in plants. Closely related to siRNA are microRNA (miRNA), these are also short (20+ nucleotides long) and occur in many copies within a genome, but are capable of regulating a large number of genes through a system involving the guidance of Argonaute proteins to silence specific genes. This led to them also being known as silencing RNAs and to a massive expansion of interest in small RNA molecules. Their potential for therapeutic and biotechnological uses is summarised in a recent paper (Glorioso, J.C. (2011). Gene Therapy (2011) 18, 1103). The mechanism of action is that the small RNA molecules, which are released from a pre-miRNA transcript of specific genes through a series of processing steps involving an exoribonuclease and export to the cytoplasm, bind specific pockets or folds within the Argonaute proteins and lead this protein to attach to specific mRNA and silence them, or mark them for destruction. Silencing is through binding of the miRNA-Argonaute protein complex to the 5′-untranslated region (UTR) of the mRNA and only 6-8 complementary bases are required between MiRNA and mRNA for silencing to occur. mRNA destruction occurs by the Ago2, which is closely related to RNse H and the only Argonaute protein that retains this nuclease activity, but requires complete complementarity between the miRNA and the UTR region of the mRNA. Coding regions of the genome represent only a very small part (a few percent) of the total genome size and it now clear that interference RNA is one example of a large number of RNA molecules preesent in the non-protein-coding regions of the genome (small nucleolar RNAs (snoRNAs), PIWI-interacting RNAs (piRNAs), large intergenic non-coding RNAs (lincRNAs) to name just a few). Esteller, (2011) has detailed the close link between these non-coding RNA molecules and human disease (Nat Rev Genet 12: 861-874), but it is clear that much work is required to identify all of these non-coding RNA molecules and identify their targets and how this relates to disease. miRNA production is closely linked to specific cell types and various stages of cellular differentiation, while unexpected production of miRNA molecules is linked to a number of disease states including cancer, diabetes, hearing loss and liver disease. Certain viruses (particularly from the Herpes virus family) produce a number of miRNA molecules , which they use to overcome the human immune system by targeting the major Histocompatibility complex class I chain-related molecule B (a natural killer cell ligand). Interference with these miRNA molecules could enhance natural immunity to herpes viruses. Both increasing the levels of miRNA in the cell and introduction of miRNA molecules, or their complements, has been found to influence the development of diseases and the development of cancer. miRNA and siRNA molecules, that bind targets that are difficult to treat with normal drugs (such transcription factors like MYC), may represent a way to inhibit new targets for control of cancer and an exciting way forward for disease treatments in the future. A key aspect of using interference RNA for disease treatment will be targetted delivery of a source of these nucleic acid molecules and a variety of methods for transfecting cells have been explored (Davidson & McCray (2011) Nat Rev Genet 12: 329-340). These include using bacteria to deliver specially designed DNA molecules as a source of siRNA, lipid encapsulation of the molecules and viral delivery systems. Mutation and subsequent resistance to the treatment is a known problem as is natural degeneration of these moleules and a consequent need for repaeated treatment. Yet this area has moved a long way in only a decade and is a serious area for future therapies. There are a number of species of RNA, with messenger RNA (mRNA) being the product of transcription and is produced by RNA Polymerase (RNAP), while transfer RNA (tRNA) is used by the ribosome during translation as the mechanism for decoding the RNA sequence into a protein sequence and ribosomal RNA (rRNA) is a major constituent of the ribosome providing both structural form and enzymatic activity required for protein synthesis. However, there are other types of RNA and perhaps one type that has become very well-known in recent years is small interfering RNA (siRNA). These short RNA sequences were first discovered (at the end of the 2oth Century -Hamilton & Baulcombe (1999). Science 286, 950-952) as molecules capable of silencing gene expression in plants. Closely related to SiRNA are MicroRNA (miRNA), these are also short (20+ nucleotides long) and occur in many copies within a genome, but are capable of regulating a large number of genes through a system involving the guidance of Argonaute proteins to silence specific genes. This led to them also being known as silencing RNAs and led to a massive expansion in interest in small RNA molecules and their potential for therapeutic and biotechnological uses is summarised in a recent paper (Glorioso, J.C. (2011). Gene Therapy (2011) 18, 1103). The mechanism of action is that the small RNA molecules, which are released from a preMiRNA transcript of specific genes through a series of processing steps involving an exoribonuclease and export to the cytoplasm, bind specific pockets or folds within the Argonaute proteins and lead this protein to attach to specific mRNA and silence them, or mark them for destruction. Silencing is through binding of the MiRNA-Argonaute protein complex to the 5′-untranslated region (UTR) of the mRNA and only 6-8 complementary bases are required between MiRNA and mRNA for silencing to occur. mRNA destruction occurs by the Ago2, which is closely related to RNase H and the only Argonaute protein that retains this nuclease activity, but requires complete complementarity between the MiRNA and the UTR region of the mRNA. MiRNA production is closely linked to specific cell types and various stages of cellular differentiation, while unexpected production of MiRNA molecules is linked to a number of disease states including cancer, diabetes, hearing loss and liver disease. Certain viruses (particularly from the Herpes virus family) produce a number of MiRNA molecules , which they use to overcome the human immune system by targeting the major Histocompatibility complex class I chain related molecule B (a natural killer cell ligand). Interference with these MiRNA molecules could enhance natural immunity to herpes viruses. Both increasing the levels of MiRNA in the cell and introduction of MiRNA molecules or their complements has been found to influence the development of diseases and the development of tumours (Broderick & Zamore (2011). Gene Therapy 11, 1104-1110). Clinical trials of MiRNA-complementary short oligonucleotides has already begun and this area promises a strong future research area. I imagine over the next few years that the study of how short RNA molecules control gene expression and how they may effect disease development will show massive progress with a huge potential for new treatments (Kasinski & Slack (2011). Nature Reviews Cancer 11, 849-864).